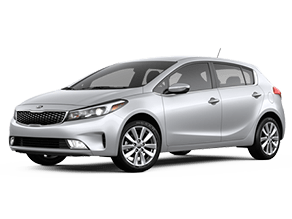 It’s no secret that hatchback vehicles are quickly taking over the automobile industry thanks to their versatility and ability to suit a wide variety of needs. 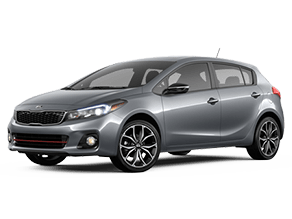 The Forte5 is Kia’s answer to those demands. With a striking color palette and classic hatchback design, the Forte5 is every hatchback lover’s dream. The Forte5 has three trim options: LX, EX, and SX. There are two engine options for the Forte5, a 2-liter I4 engine with 164 horsepower, or a 1.6-liter I4 turbocharged engine with 201 horsepower. And with 25 city and 34 highway MPG, the Forte5 clearly doesn’t cut efficiency to get those performance numbers. The Forte5 has sporty add-ons available too, like sport leather seat trim, a D-shaped Sport leather steering wheel, and alloy pedals. Sporty style and design, packed into one smooth hatchback exterior. Be confident while backing up with the help of the rearview camera display. 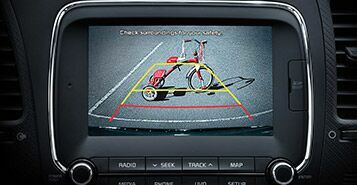 The extra set of eyes on your surroundings has depth perception to help you determine when you are getting too close to an object while in reverse. 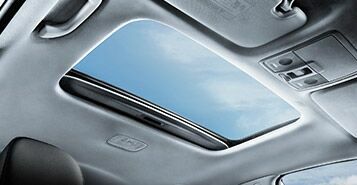 Let the light in with your power sunroof. This one-touch sunroof helps the Forte5 feel even more open and roomy than it already does, and getting fresh air is a bonus! The Rio is versatile in its space. With a 60/40 split-folding rear seat, you can customize the amount of space you need and accommodate longer items. 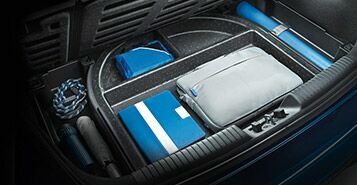 A removable cargo cover also helps you keep valuables stored out of view under the carpet. The Rio still offers 23.2 cubic-feet of cargo space with all of the seats up.